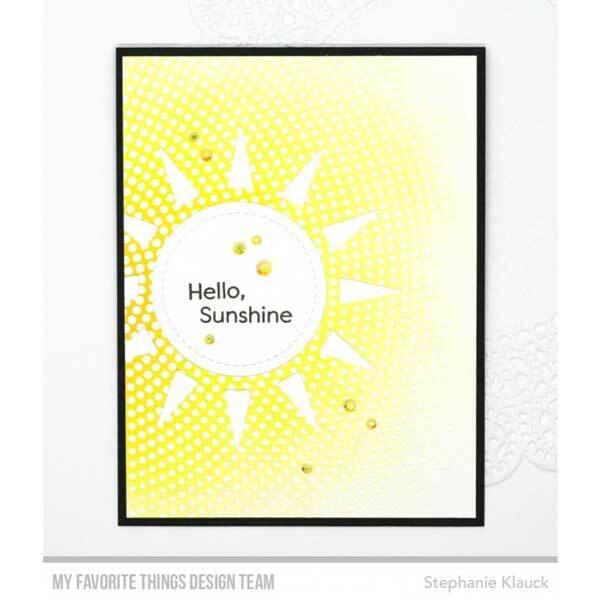 Sunshine Shaker Die-namics by My Favorite Things. 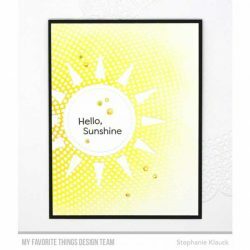 The Sunshine Shaker Die-namics will simply light up your cards. 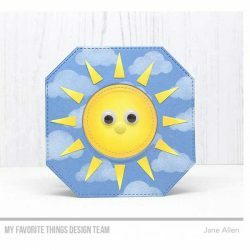 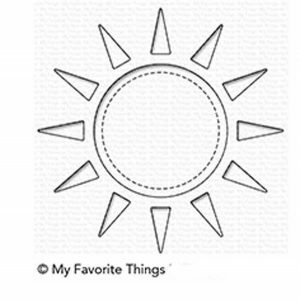 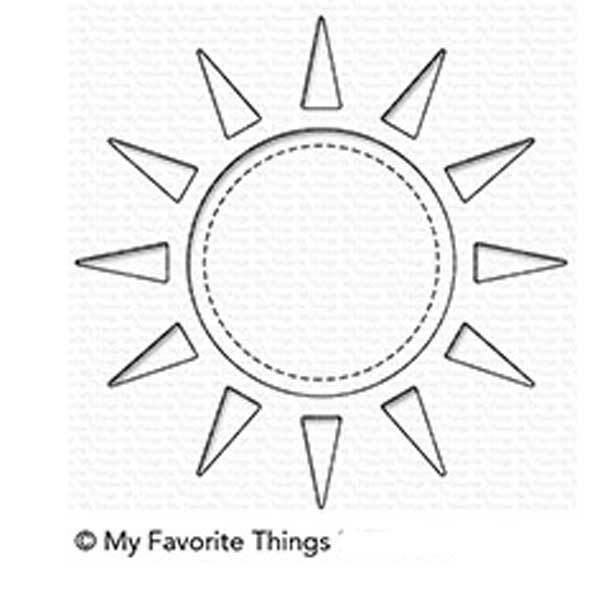 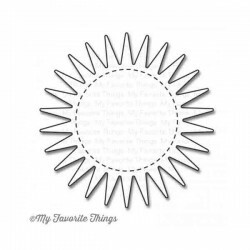 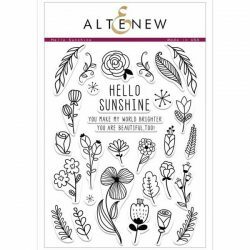 Use it to create peek-a-boo suns backed with color or pattern or use the individual die-cut pieces to layer a sun on top of your projects. The interior circle features a stitched perimeter to add interest should you choose to use it and is sized to accommodate our 2” Circle Shaker Pouches so you can pack your sun with shimmering, sparkling sequins, beads, and confetti. 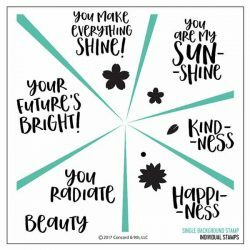 Pair with the Sunshine Die-namics and Full of Sunshine stamp set to complete smile-inducing looks for any recipient. 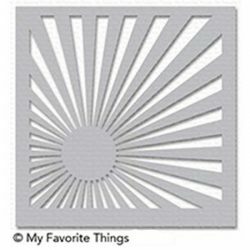 The Sunshine Shaker Die-namics measures 3 5/8” with an interior diameter of 2”.